Don’t tell, but I purchased by beloved Le Creuset at Marshall’s (a discount store). He has a tiny little chip that only I know about, but I still love him. Teal is a seriously HOT color. And no one likes a completely matchy matchy kitchen. I say go for it. My god, it’s even on sale. It’s calling to me in a big way. I’m sort of bummed now that I bought that Target pot. Ha ha. Anyway, go forth & purchase! i have seen pastel colour L.C pots i love the pink and the blue ones. 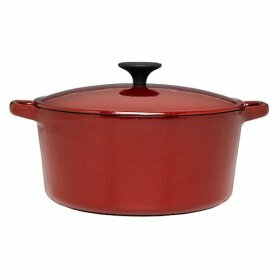 I also live near a Le Creuset outlet store, but they only carry current “hot selling” colors. Anyway, I have not seen these available in the United States – still on the search. I am a breast cancer survivor, and would really like a pink dutch oven in my kitchen!!! also a French company brand: Chasseur (they have a pink line currently available).